The biggest news of the past few months has come in the past week or so as what will inevitably be the biggest films of 2012 and 2013, The Hobbit, has been given the green light. Hot on the heels of that news was a big announcement yesterday Martin Freeman would be stepping into Ian Holm's hairy footsteps as Bilbo Baggins. What followed was a host of actors who would play Bilbo’s entourage of dwarves on his quest to the Lonely Mountain. 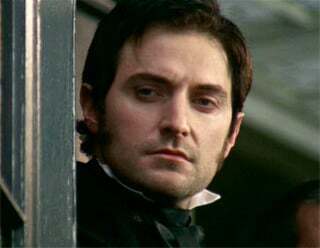 One such name was Richard Armitage, famed English actor and star of series like MI-5 and Robin Hood across the pond. The problem is that not many people think that he looks the part, which I guess is true, but there’s one simple LOTR rule that those skeptics seem to be forgetting: everyone looks like a goddamn dwarf with a fat braided beard, grimy hair, and an ax as tall as they are. 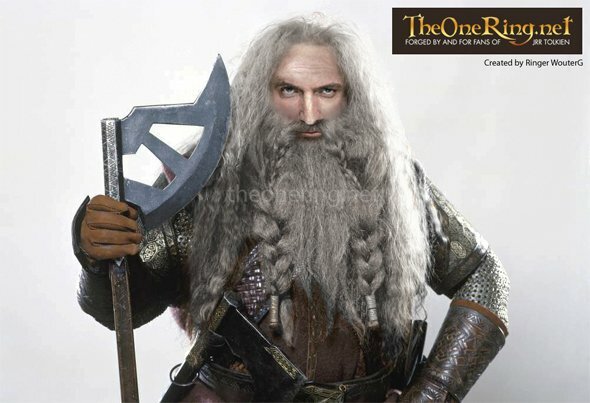 WouterG at TheOneRing.net has taken it upon himself to prove to us that Richard Armitage can in fact be a dwarf despite his outwardly pretty-boy looks. God bless Photoshop for gracing us with this and with the earlier photo of Jon Hamm as Superman. Barring anymore hang-ups (and having been ever the skeptic about this production, I’d be happy to not see any), production is set to begin this February. Fingers crossed that nothing else will get in the way.